CAIRO (AP) — 2 weeks of new thermal scanning in Egypt’s Giza pyramids have identified anomalies in the 4,500 year-old burial structures, including a major 1 in the largest pyramid, the Antiquities Ministry announced Monday. 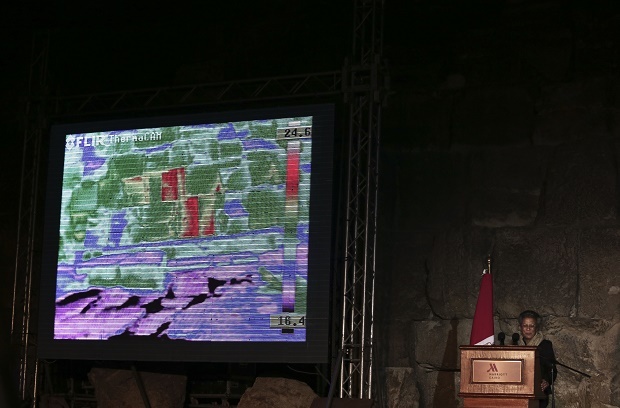 Antiquities Minister Mamdouh el-Damaty & technical experts working on the project showed the higher temperature being detected in 3 specific adjacent stones at the bottom of the pyramid in a live thermal camera presentation to journalists. The scanning showed “a particularly impressive 1 (anomaly) located on the Eastern side of the Khufu pyramid at ground level,” the ministry said in a statement. The largest of the 3 Giza pyramids is known locally as Khufu & internationally as Cheops. The thermal scanning was carried out at all times of the day, including during sunrise, as the sun heats the structures from the outside & then during sunset as the pyramids are cooling down. 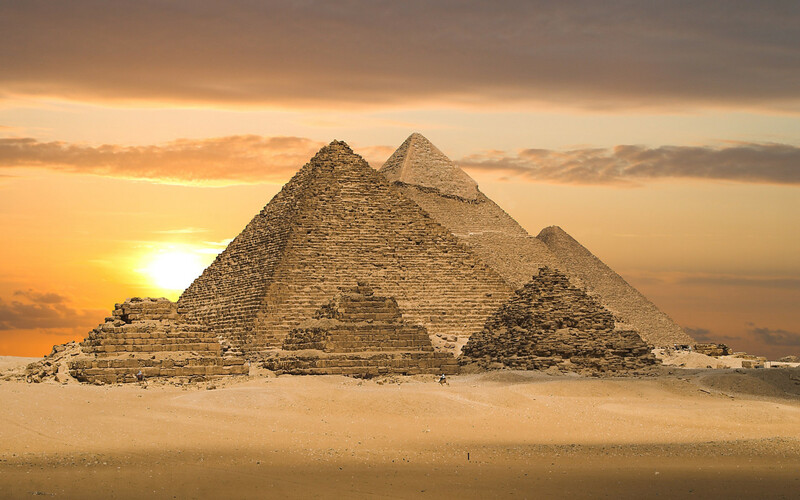 The speed of the heating & cooling phases is being used to uncover “hypotheses” such as empty areas in the pyramids, internal air currents, or different building materials used. Other heat anomalies were detected in the upper half of the pyramid that the experts said need to be investigated further. El-Damaty invited all Egyptologists, especially those interested in ancient Egyptian architecture, to join in the research & help come up w/ideas on what could be behind the anomalies. The pyramids, located on the outskirts of Cairo, are 1 of the major tourist attractions in the country. The pyramids, which were used as sacred burial structures, were built in the 4th Pharaonic dynasty. The great pyramid is the oldest & only surviving monument of the 7 wonders of the ancient world.